Well, I watched "The Hobbit" yesterday. And I was blown away. Not because of the movie being so great, but because of being baffled how you can completely destroy a great book. Okay, maybe I'm a bit biased. I read "The Hobbit". It was clear from the 1st day, that Peter Jackson will make his own changes in the story. But this was a bit too much. Let's start with ... Radagast. Really?. I mean come on, really? I mean RLY? I don't even know what to say. Then Saruman appeared with Elrond. Good. The introduction was okay. Why not looking "back" at the "Lord of the Rings". Did I say back? Yes. The hobbit was plenty of years before the LotR. Now 3 episodes for a small book is just ridiculous. But with all that stuff that doesn't belong in the Hobbit, well no wonder the movie had about 3 hours to bring you to the scene where the eagles rescued the dwarfs. Oh yeah, the dwarfs... Let's look at the characters. I don't even say something about Radagast here besides that he looks like "Gizmo" on steroids. The dwarfs had always good manners in the works of Tolkien. The complete chaos and their habits at Bilbo's home... No that weren't dwarfs. Jackson mistook that with a drunken teenage party, I'll guess. But Thorin Oakshield. No that is not right. In no way right. I was shocked. He looked like an superdeformed version of Aragorn. That beard? Umm, no. Come on. And then he started to sing. I was curious and loved the song lyrics in the book. And then he really sung. And it sounded like...Aragorn. No, not again. I'm going crazy. And then the "pale orc". Come on, the new "Sauron light". This is a complete rewrite of the story. There never was something like this. And the scenes. Too many are just 1:1 copies of the "Lord of the Rings". The fighting between the dwarfs and the orcs e.g. It looked like the fight between the Elves and Sauron, when "Sauron light" lost his hand. Even when Gandalf drank the wine from the much too small glass. Even the same glitches. After all these years, they still couldn't get a proper shadow for the wargs in the distant view? The same graphic glitch as in LotR. The animation of the dwarfs when they flee from the orcs in the underground is horrible. Maybe they shouldn't have concentrated on HFR and 3D, and instead improve the animation quality. It does not live up to today's standards in some scenes. The conclusion: You might wonder, all in all it's a great movie. If you forget about the animations, it's everything a movie needs. Laughing, tears and excitement. 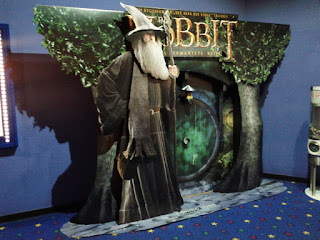 But, it's not "The Hobbit". 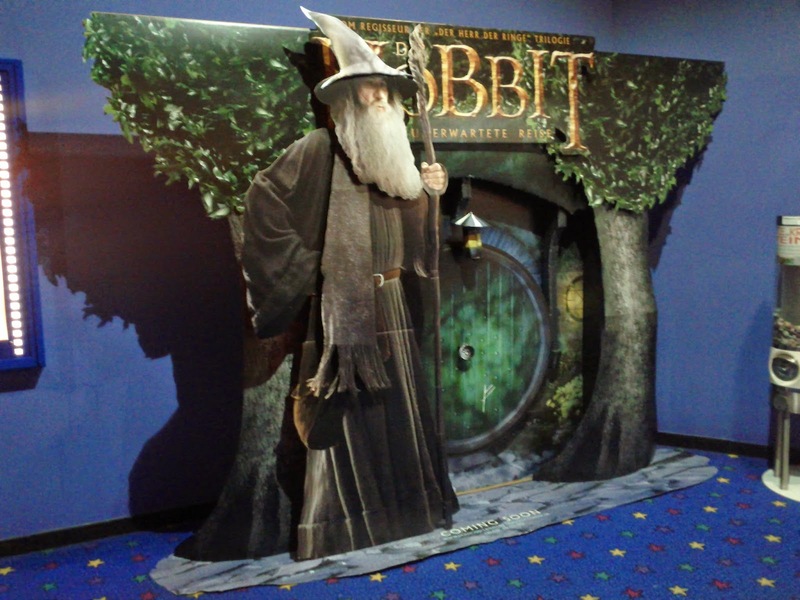 It's a movie inspired by "The Hobbit" and not more. As a fan of the Tolkien universe, I'm disappointed. As a spectator who wants to see a good movie, this is great. I'm going to watch the 2nd part of it, too. But I really fear what Jackson will do to Beorn.